Just a few hours south of Santiago one of the largest infrastructure projects in Latin America is underway right now which, despite the lack of media attention, is going to have a serious impact on the economy and standard of living for people who call the area home. Used by the indigenous inhabitants of the region as a foot trail for many centuries,Paso Pehuenche is by far the easiest route over the central Andes due to the surrounding geography and elevation of the actual pass.. 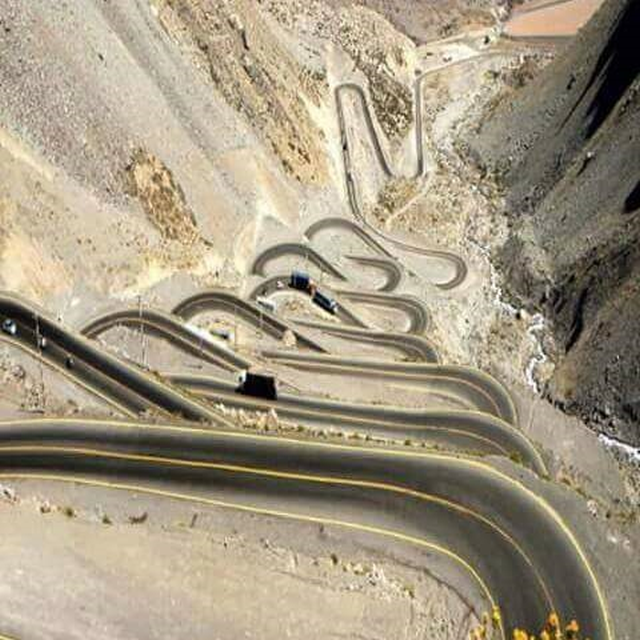 Yet thanks to political pressure, when the first vehicular route connecting central Chile with Argentina was finally improved, it wasn’t the Paso Pehuenche route but instead the Paso Los Libertadores (located a few hours north of Santiago) which was given priority. 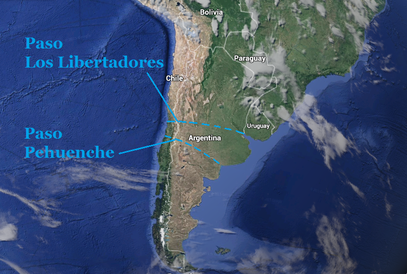 Today, Paso Los Libertadores is used as the primary route over the Andes with hundreds of thousands of both private and commerical vehicles making the crossing every year and includes the world renowned Portillo ski area, the multi-million dollar Puerto Terrestre Los Andes dry dock facility, and a relatively developed (by local standards) border complex. The only issue with the Paso Los Libertadores route is that the pass is located at over 10,000 feet with avalanches and the steep gradient making it a moderately difficult road anytime of the year and especially dangerous in winter. Finally about four or five year ago, long delays at the check point, frequent closures caused by high winds and snow, and increasing tourist traffic and trade between the two countries caused governments on both sides of the border to start making the development of a year round pass at the more logical Paso Pehuenche a priority. When I first started scouting this particular area and heard about the Paso Pehuenche Bi-Oceanic Corridor, I must admit that I was doubtful that both countries would be able to actually finish the improvements and pave the route by the end of the decade like was being planned. I spend thousands of hours every year monitoring the situation on the ground in this part of the world and I’ve learned from experience not to trust everything I hear or read when it comes to proposed infrastructure developments. In the case of Paso Pehuenche though, I can say that I’ve been not just surprised, but literally dumbfounded by the speed at which improvements are being made to this corridor. The distance between the Ruta 5 (Chile’s main north-south highway) and the border of Argentina at the Paso Pehuenche is almost exactly 100 miles. Five years ago, most of this route was simple two lane highway that passed right through the center of the little towns along the way with the upper 20 to 30 miles of it still a bumpy and uneven gravel road. Since that time, bypass/alternate routes have been added, sections of four-lane highway have been completed, and the actual mountain pass has been paved on both sides of the border. 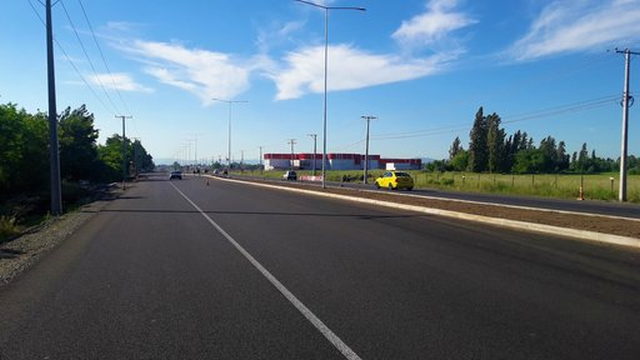 The next round of improvements includes an $8 million USD upgrade to the intersection of the Ruta 5 Highway with the Paso Pehuenche route, another section of four-lane, multiple new bypasses, and a third storage area for snow removal equipment located at a higher elevation. Once these are finished, authorities plan to begin keeping the pass open year round for both touristic and commerical traffic. This will most likely all happen in conjunction with the new 300 megawatt ($600 million USD) Los Condores hydropower station coming on line and development of the Centro Invernal Alto Maule (the Alto Maule ski area). After that, the 7th Region’s own dry dock facility along with all the supporting services probably won’t be too far behind. Of all the different infrastructure projects currently taking place in the Southern Cone, it’s hard to imagine one that is going to have as big an impact as the opening of this new recreational/trade route. There are plenty of parts of the world where conspicuous consumption and bridges being built to nowhere are the key drivers which keep the local market afloat. After years of evaluating demographic and economic trends in dozens of countries across numerous continents, I’m very happy to be able to say that the Paso Pehuenche Bi-Oceanic Corridor is not one of them. How Dangerous is Living in the Earthquake Capital of the World?